I want to say something about comics that came up quite a bit in this past week. A huge reason I love to read comics is the absolute absurdity the superhero genre is able to get away with. There's something about it that, when asking a question, literally anything can be the answer and we'll smile and continue reading. 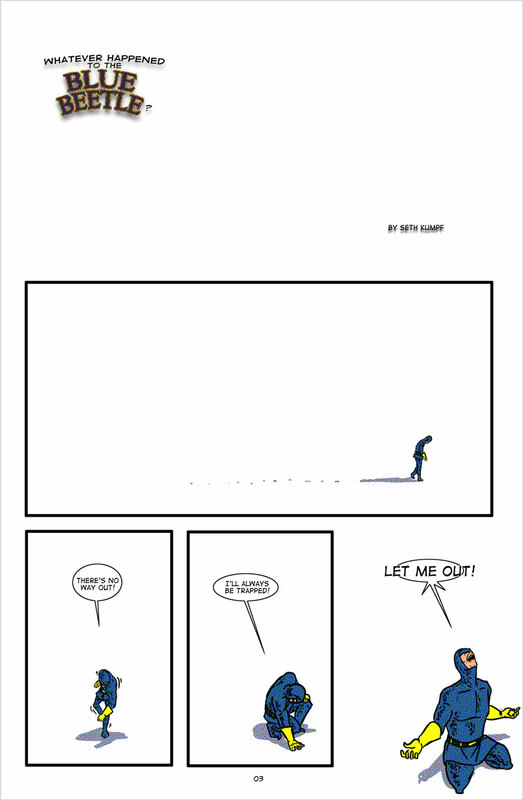 This was brought about with Amazing Spider-Man #656 where I found out Spider-Man lost his Spider Sense. 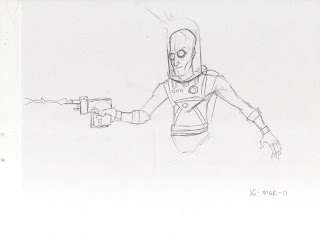 I asked a buddy of mine and lo and behold, it was an EMP that knocked it out since a whole bunch of bug-themed villains were given a sense like his and he was caught in the EMP blast. It's things like that that make me love comics and if you can't appreciate it, and I don't want to come off as a prude, but you're reading comics for the wrong reason. 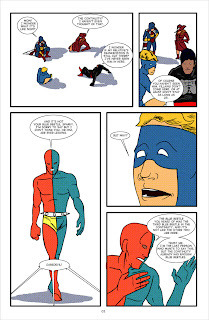 Tom Strong is a series I feel prides itself on this concept and embraces it. While this isn't the case for every comic book and the super hero genre is the major contributor, I think the comic book medium lets us go back to a simpler time without answers needing to be deep and meaningful. They allow us to sit back and enjoy a story, no matter how ridiculous it is. Even stories that are supposed to be serious, and seeing Pax Romana on my shelf as an example, still force us to suspend our disbelief. If you're unfamiliar with Pax Romana, it is about the Vatican literally sending modern weaponry and enhanced soldiers back to Rome in 312AD. 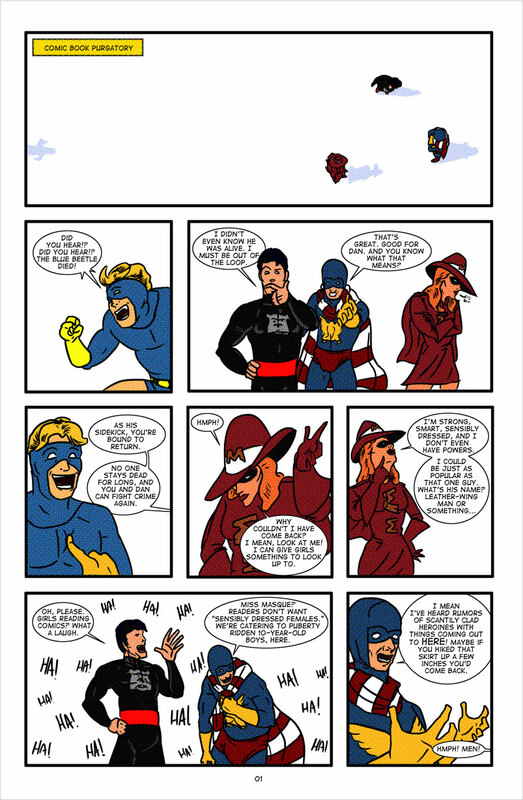 While an everyday person might scoff at such an idea, a comic book reader is able to embrace it and tag along for the ride. Is Vatican, time traveling, super soldiers really that much crazier than Batman's consciousness being sent into parallel worlds by Apokolips? While I don't want to say I don't enjoy thought provoking stories, I'm a Grant Morrison fan, I think comics allow us to tell stories that novels wouldn't. Amazing Spider-Man #656 - 4/5 - Wasn't a bad read for the conclusion to the first Spider-Man arc I've read in a really, really long time. It got me to consider giving the series a real go and grabbing it every month. The stuff coming up with Johnny Storm sounds interesting, so here's hoping those will be just as good as this arc. 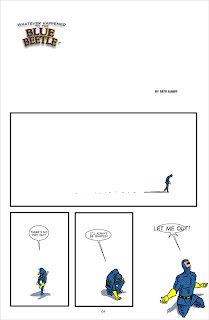 Pluto Volume 5 - 4/5 - I really enjoy this series. Each volume is tense and reads quick enough that I'm able to continue as the tension builds continuously. At the same time, though, this can't explode fast enough. I really want to see everything culminate to the climax but I'm enjoying all the twists and turns it's taking me in while getting there. It's somehow able to make me want to have the ending in the next book so I can see how it wraps up, but not mind if there were twenty more books to read. 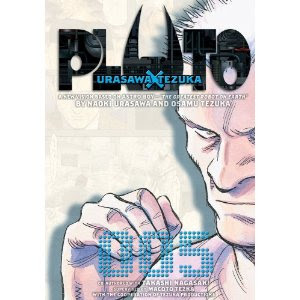 Pluto Volume 5 by Naoki Urasawa. Amazing Spider-Man was able to get me into the series but Pluto is just an absolute blast to read. It's able to keep me interested while keeping me at bay and I commend that. A lot of people I know have a beef with manga, but this is something I think is worth a read for any comic fan. I had an easy week. After finishing up the pencils for The Ragged Rider, I decided to take the week off, and with my spring break next week, you should get a lot of inked (colored?) pages all throughout. So look forward to that. I've got some other school projects that should be interesting as well. But those are just starting so give me a little time to get those up on here. 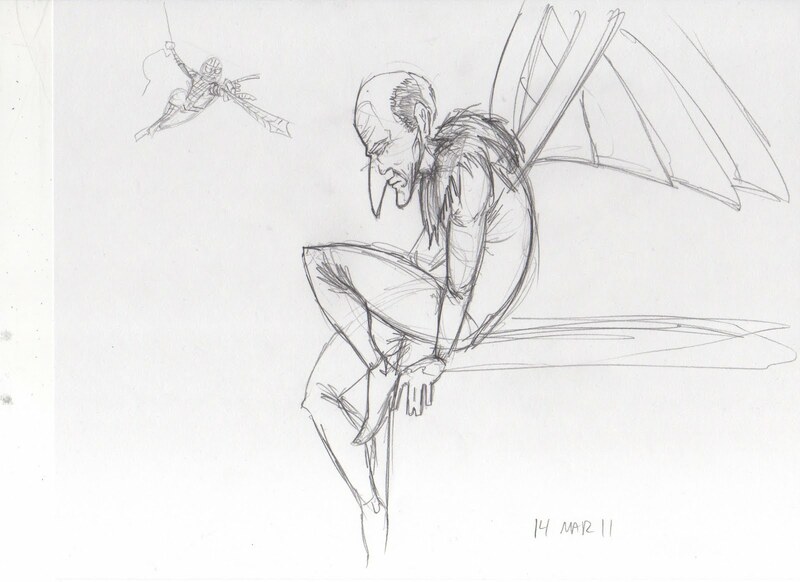 And as for 10-Minute Drawings, our themes were: "Spider-Man Villains" and "Cold Themed Villains" The Vulture and Mr. Freeze respectively.